At The FAB Clinic we are proud to offer elos, the first and only technology that uses combined energies to effectively and gently restore and rejuvenate the appearance of your skin. How does elos skin rejuvenation work? 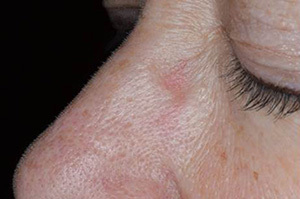 elos uses a combined bi-polar radio frequency and light energy to precisely and safely target pigmented areas, such as freckles, sun spots and age spots. 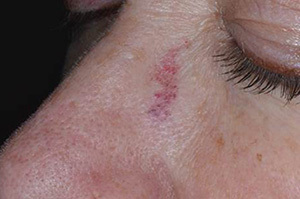 Vascular lesions such as spider vessels and redness from rosacea can also be lightened and will slowly fade. Is elos skin rejuvenation right for me? elos skin rejuvenation is effective for most skin types. It takes about five treatment sessions, with gradual improvement being noticed after each one. The exact number of sessions required depends on your skin’s condition. The skin’s surface is cooled to reduce discomfort. Most patients carry on with normal activities after their treatment sessions.